We last visited consumer offerings of S. C. Johnson with a great Windex article. We’re back with another product from one of our favorite American companies. With Saran Wrap, Ziploc freezer bags, and my favorite, Twist’n’Loc reusable containers, it is easy to see why the company is so popular with foodies. Exclusively used in my kitchen. Pint and quart containers share the same lid. Stackable. Holds up well in the microwave. Most others have hit the recycling bin. Along with quart & gallon freezer bags, these are the nicest food storage solutions on the planet! Thanksgiving is coming up. Pick up a few. Bring them to Aunt Genevieve’s house, and take home a feast of leftovers! As an amateur luthier, I find Twist’n’Loc containers especially valuable in keeping parts safe during repairs to acoustic instruments! What else? Maybe a few become stained or etched from repeated trips into the microwave. Fret not! These are perfect for holding small quantities of paint. Perfect for touching up trim and stairwells after the kids have their romp. 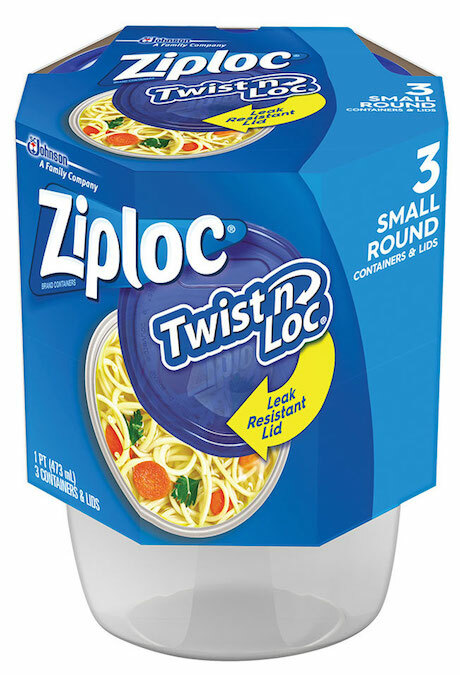 This entry was posted in Food / Cooking, Product Review and tagged s. c. johnson, Twist'n'Loc, ziploc.